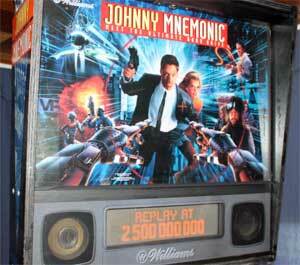 Check out these Johnny Mnemonic Pinball Machines for sale. 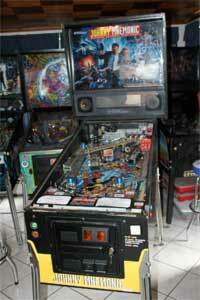 You will also find parts and accessories for current owners including the eyeball targets, rubber ring kits, decals, manuals, translites, flyers, sling shots, and ramps. This is a great game, but because of the poor movie performance, you should be able to get one for around $1500 or less. Bargain!